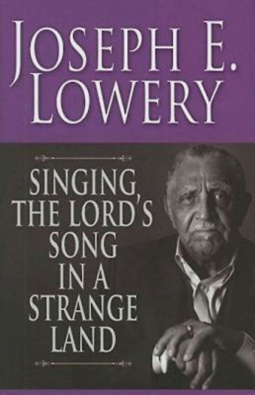 Lowery (former president, Southern Christian Leadership Conference), well known as a soldier in the Civil Rights Movement and an associate of Martin Luther King Jr., leapt to broader public notice when he delivered the benediction (included in this collection) at President Obama’s inauguration. This volume is a kind of best-of gathering of the writings, reflections, memories, and short sermons of the preacher who spoke at Coretta Scott King’s funeral. Lowery is wonderfully plainspoken, presenting the great riches of his experiences and memories. VERDICT A delight, speaking to both the recent past and the present, for students of the civil rights era, pastors, and all congregations.